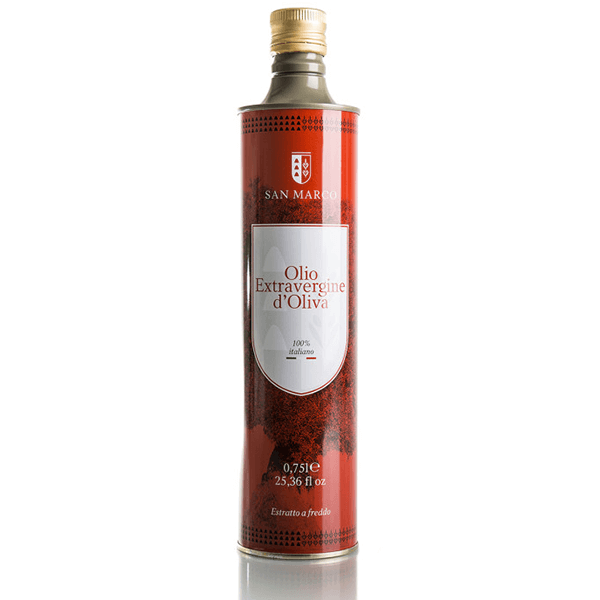 Extra Virgin Olive Oil 50cl. 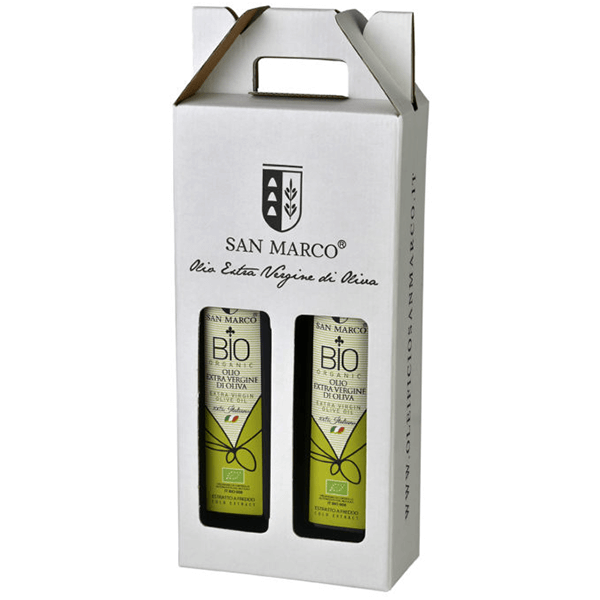 The Extra Virgin Olive Oil “San Marco” is obtained from apulian olives cultivated according to the traditional farming fees. The olives are harvested directly from the tree by mechanical equipment, stored in suitable containers and in ventilated places; after 24 hours at the most, the olives are transformed. The juice is cold extracted (max 27°C) with the most recent machinery available on the market. COLOR AND TASTE: A golden-colored oil with green shades. A delicate taste of slightly fruity oil, with light and pleasant spicy notes. USE: it blends perfectly with vegetables, salads or fish. PACKAGING: In 500 ml dark glass bottle with a stopper cap. 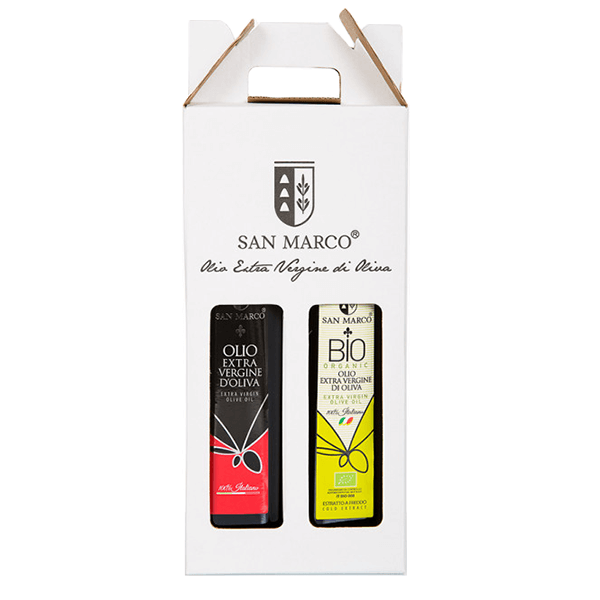 Elegant line, in a convenience package to bring to the table to give flavour to each dish. Ideal for catering or home use. 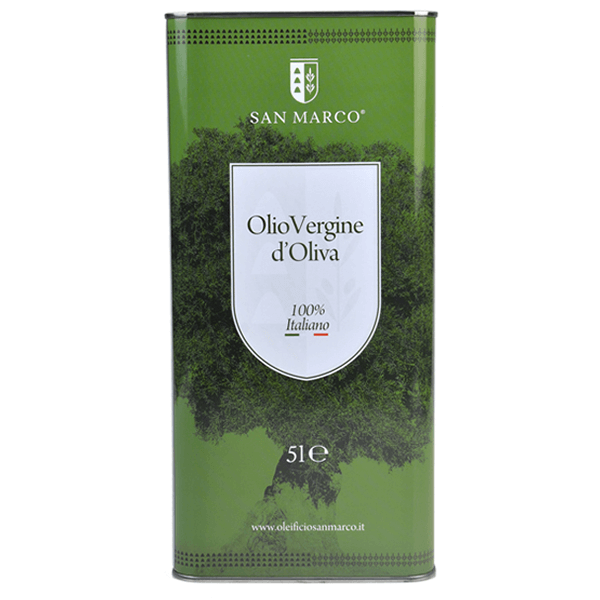 Intense Extra Virgin Olive Oil 5lt. 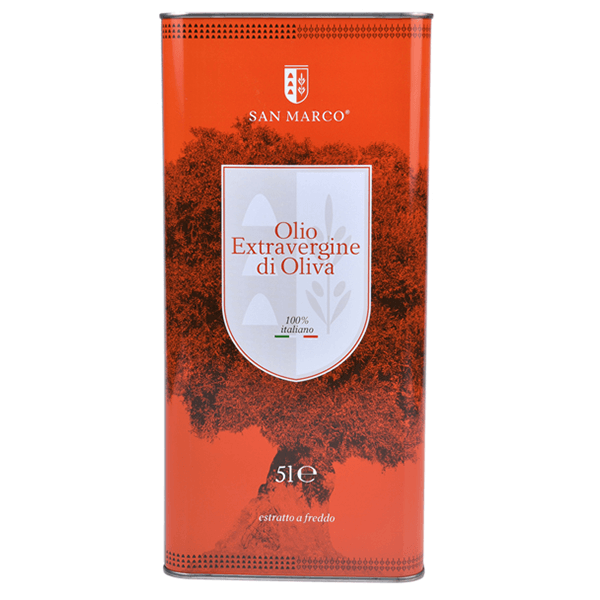 Delicate Extra Virgin Olive Oil 5lt. 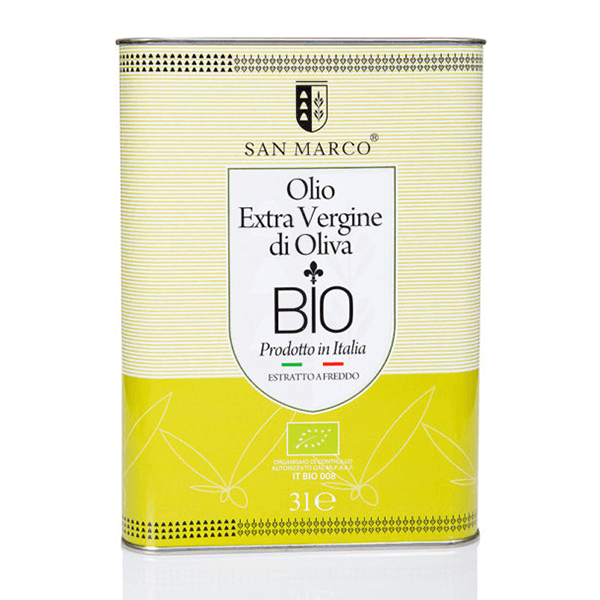 Extra Virgin Biological Olive Oil 3lt. 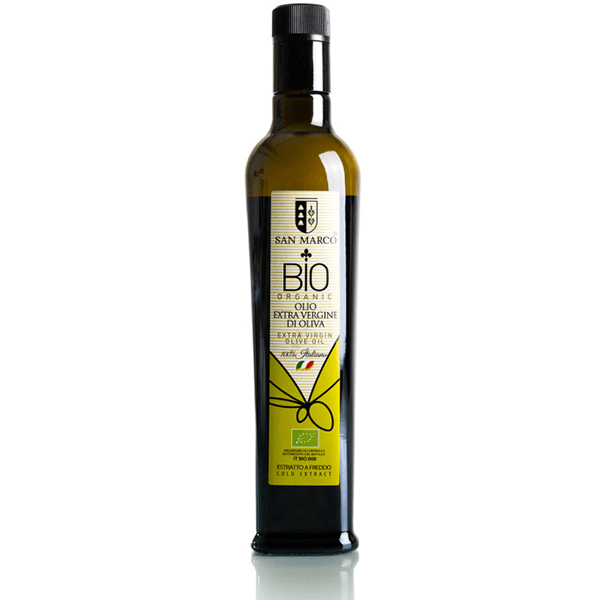 Extra Virgin Biological Olive Oil 50cl. 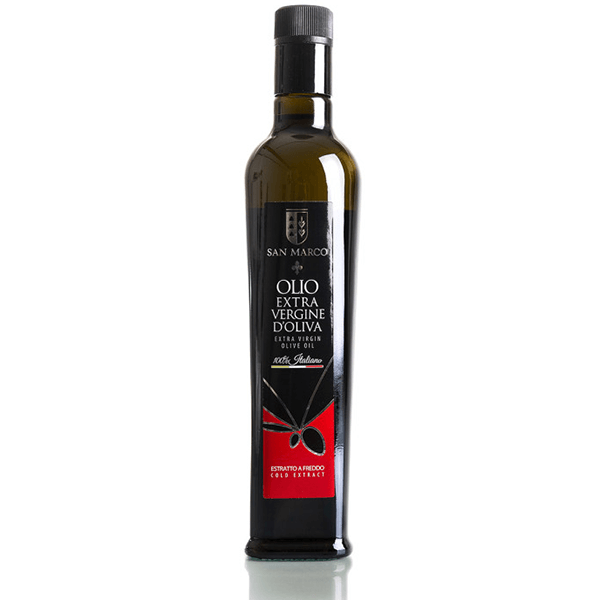 Extra Virgin Olive Oil 75cl.